"More Than a Month." That's the title of a thought-provoking and amusing documentary that aired this month on the PBS series Independent Lens. In it African American filmmaker Shukree Hassan Tilghman embarks on a quest to end Black History Month. You can watch the film online if you act fast--it's available on the Independent Lens website until March 2. Why, Tilghman asks, is teaching about black history--which is, after all, American history--crammed into one month? Why do we stuff the stories of black people into a box that in many places is pulled out only during February? What if we didn't have a Black History Month? What if more school districts followed Philadelphia's lead and made African American History a graduation requirement? What if children's books with African American topics were published in September or October instead of February or January? OK, that's not one of the questions Tilghman investigates in his film (although he does discuss corporate sponsorships and advertisements and the money to be made during Black History Month "season"). But it's something I've wondered about. My next book is about George Washington and his "people," as he called his slaves. It's coming out next year just in time for--you guessed it--Black History Month. Don't get me wrong, I'm not complaining. I trust the sales and marketing pros and I'm thrilled the book's coming out when they think it will get the best start. I embrace Black History Month as an opportunity to celebrate African American stories and contributions. It can be an empowering time for us all. But I wonder, does launching most black history books in the Black History Month "season" help confine African American history to the February box? I don't know. But I think it's worth thinking about. Lately there is a frightening feeling in the air that books might by on a direct line heading from passé to obsolete. The average reader seems to have turned away from buying books to contemplating purchasing a new IPad or caving into a kindle. Numerous newspaper articles and internet stories continue to tell us that statistically speaking, the majority of people do their “reading” on a screen. This might be true but the truth remains that we need more books. We need more books and the places that house them. Remember when we all blamed the big chain stores for the demise of small, independent bookstores? Well, we had a right to be angry but now Borders is gone and the big multi-storied Barnes and Nobles across from Lincoln Center in New York City is now a clothing store. So we order books on Amazon (with due resentment for its contribution. to the closing of even more local stores) but we need books and so we buy them there. But we don’t just need to buy, we need to browse and linger and touch and experience. Last week I was talking with a group of five people who aren’t big readers. But we all agreed we need more books. Our eyes hurt from reading the computer screen, and we want to be able to turn a page. We all expressed our deep need to indulge our olfactory senses and breathe in that unique real book smell while we see and touch and hear the page turn. So what kinds of books do we need? Well, more than we have. Our curiosity about the world continues to grow in a way that goes beyond the restriction of subjects that fall within the curriculum standards. As I mentioned on our Facebook page, a devoted fifth grade teacher is trying to find a book that discusses what happens after people die but she hasn’t been able to find anything. A sixth grader told me he was interested in books about doctors but I haven’t been able to come up with anything. 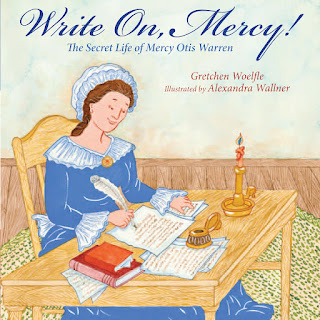 In the past year or two, children’s nonfiction has continued to expand to include more variety of subjects such as biographies on adult authors and musicians that most children have probably never even heard of before. So there are some signs that some risks are being taken and that we will have more choices. But it’s really not enough, not yet. Because there is a need to know that Wikipedia cannot mollify. Clearly, we need more books. It might seem an act of futility to argue for the need for more books when signs point to a slow, painful end. But sometimes a true fan is rewarded for continuing to support the cause through the leanest of times. If you’re a Knick fan, you’ll know what I’m talking about. It was the early 1970s the last time an Ivy League graduate* joined the team and ignited a bunch of talented teammates to play exciting basketball and win the championship. Stranger things have happened. We are, as always, talking nonfiction after all. *Bill Bradley, Princeton graduate, New York Knicks forward, #24. Recently, I’ve been thinking way back to my senior year in college. 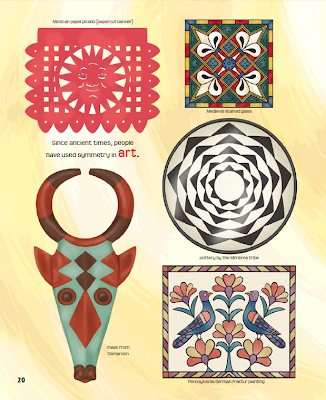 That year, while fulfilling the last electives to graduate, I took the most interesting classes of my college experience – History of Design, Art and Environment and History of the Home. I just unearthed my class notebooks and those were the actual titles. Until now, I haven’t had to use what I learned in those classes, except for help in Jeopardy or Trivial Pursuit*, of course. As I think back, Pat Allred, my professor for History of Design, did a fabulous job making the information interesting and relatable. With each design time period –Victorian, Bauhaus, Moderne, etc, she first explained the historical facts of the time. Then, she went through each design discipline and related it to the time period and the other areas – Graphic, Furniture, Architecture, etc. I totally got it. Then, as I was writing my senior paper on Doll Design, I was able to use what I learned from Professor Allred and mix the evolution of dolls within a historical timeline combining how children were perceived through the years, manufacturing processes, social and fashion trends. For the entire three hours of class time, she had slides to illustrate what she was teaching. As I said above, I found my notebook complete with extensive outline, notes, bibliography and copies of every slide – an absolute goldmine. As I begin the research and writing on my new book, I’m aiming to make the information interesting and relatable. All that architecture and design history fodder is finally going to be of use as I research and write biographies for 22 women architects, landscape architects and engineers. I’m so inspired and passionate about these women, but how can I make the information interesting and engaging for kids? With any luck, I can incorporate what I learned in Professor Allred’s classes as I write and inspire future architects and engineers. Isn’t it amazing that all these years later, I am finally using what I learned in that class? Anyone else have a similar experience with clearing off the cobwebs and making use of material stored way back in the back of your brain? *Once, in an intense game of Trivial Pursuit, I won by knowing about the Dionne Quintuplets. They were the first quintuplets that survived through infancy – and were made into a doll line. Gotta love design history. Mom says she’ll shoot me if I use anything from Wikipedia. You should know that I wouldn’t use such an variable, unreliable source for anything more than an initial search, not for a final source. You should also know that the part of my family that has the shootin’ and murderin’ history is several generations back and only by marriage, as certain relatives, every time of the story tellin’ make clear. So I am in no serious shootin’ danger from mom. Yeah, I have the stories passed down from one of the most famous feuding families in the U.S. We keep track of this stuff in my family. That, in fact, is where this whole Wikipedia thing started up. I spent yesterday in a Rubbermaid tub, visiting with some Mayflower relatives. Eleven generations ago, three of my ancestors arrived on the Mayflower and two helped with the Mayflower Compact. One of these ancestors was a young woman. Yeah, I know. Write a story, A! But I’ve never professionally written this history stuff. Couldn’t there have been an armadillo on the Mayflower or something? Now, that, I could have written. . . Instead I have slipsliding piles of carefully researched stories and family trees. Civil War. 18th century valentine. A stitched sampler from my ancestor, age 14. And reams of history researched by exchanging letters and visiting archives. My grandfather, mother, and a few other relatives did this work, painstakingly working from primary sources, all footnoted with quotes from deeds of sale and marriage notes in books and these kinds of things. Yes, history can always be mangled by people with an agenda. 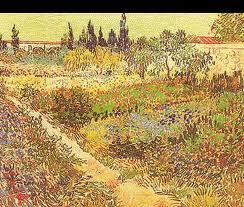 But that’s another track, for others on this INK blog to delve into more deeply. All I know is that I googled the ship my Grandfather was on, that was torpedoed in WWI, and I found so many varying accounts, I was confused. Was it torpedoed, or did it just catch on fire? Did it sink after my grandfather floated away on that lifeboat and was pulled onto a British ship in the inky dark of night? Whatever—it makes a great story in his rich but cracking 90-year old voice. I love oral history. That has been a lifelong passion—interviewing people about the past. My joy has always been sound, voice, language. There’s nothing like hearing the stories of growin’ up in rural Mississippi in the 1890s-1920. Or the stories of New England during World War II. 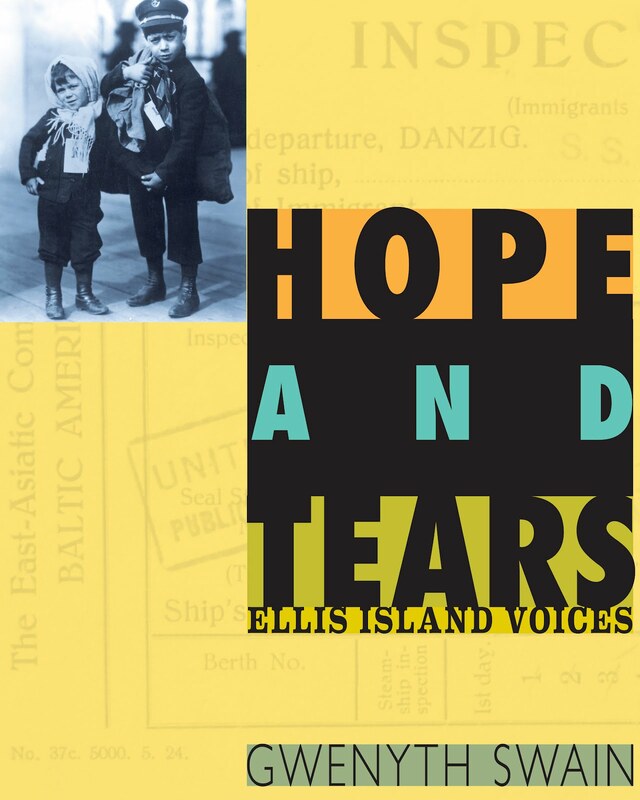 Or the story of my grandfather abandoning the sinking ship in WWI. The Civil War stories, too, are fuzzier with time, but so polished by telling, generation after generation. I have a computer full of all these voices, these stories at my fingertips. So I teach people about how to honor others by recording the stories not just of the old, but also of the young. Because our young perspectives and voices, too, are lost with time, long before we die. Yes, the great challenge of history is sources, reliable sources. The other part is the narrative through line. Because history has twists and turns, and loses threads sometimes, just when the story gets meaty and marvelous. Oh well, I’ll see what I can find. Perhaps it’s time to take a little detour away from squirrels and vultures and into some people history. There is a moth on that 19th century valentine. Will I write about human history? Probably not. Too busy with nature. For this material, I’ll probably just be a recorder, not an interpretive writer. So many others do this work with passion and grace. Carolyn Yoder has a notorious reputation for relentlessly scrutinizing one’s research. She’s the only editor I know who requires not just bibliographic documentation, but photocopies of primary sources for all one's quotes. No wonder some authors are scared of her, others say she’s the best editor they’ve ever worked with - and some say both. Her imprint, Calkins Creek, at Boyds Mills Press, publishes fiction and nonfiction books on American history that consistently win awards and notable honors. Here’s what Carolyn has to say about herself and her books. Where does your interest in American history come from? In high school, I had a fabulous American history teacher whose father was a U.S. congressman – talk about making history come alive. I still remember her spirit and her love of the past! In college, I started out in art, printmaking, and then switched my major to English but I always took lots of history courses – not just courses on large sweeps of history but courses on the history of scientific thought, medieval art, and the Bible, for example. I was interested in “historical context” early on. My first real job after graduate school was in scholarly publishing and it made me appreciate the art of analysis and research – how the author is a big part of nonfiction. From there, I worked for several years at Cobblestone Publishing. My love of history blossomed there, and I discovered to my extreme delight that young readers embrace and appreciate solidly researched and exciting portraits of the past. This is the mission of Calkins Creek books – to offer young readers original research AND original writing. For me, great history writing is a balancing act of the two. You publish biographies and history books on obscure subjects, when many publishers cling to same old, same old. How do you choose the books you publish? I first look at the research to discover the author and the passion. Most people don’t realize that what the author relies on, says so much. Once I am assured of the quality of the research and, as a result, the author’s passion, I can read the manuscript with confidence. Again, original research and original writing is what “moves” me -- more than the subject matter. It just so happens that we have brought many “unknown” people to the forefront – but we have also brought to light “unknown” aspects of well-known people – George Washington as a farmer, Abraham Lincoln as a family man, to name a few. 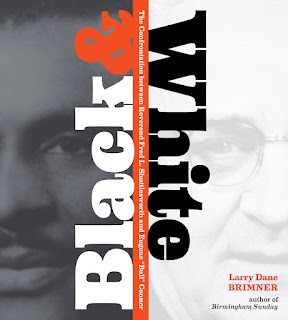 Larry Dane Brimner has published three award-winning biographies with you on the civil rights movement, including Black & White which won a 2012 Sibert Honor. Did you plan these books as a series? No – Larry’s passion for the civil rights movement and the times brought these titles to light. I think he felt that there were so many important stories to tell – and that young readers should hear them and form their own opinions of the events. To have authors dig deep and wonder is a great result of solid nonfiction. How much of your list is fiction? How much nonfiction? Calkins Creek is looking for both – I am never aware of percentages but we probably publish more nonfiction. Historical fiction doesn’t just mean novels –Calkins Creek has published historical novels as well as picture books. It’s odd but some authors feel that historical fiction is “easier” to write than nonfiction – but quality historical fiction respects the “history” part of the title and requires extensive research. We still get historical fiction submissions without bibliographies, which I find surprising and upsetting. Why write about the past if you don’t want young readers to enter into believable and complex worlds with believable and multi-dimensional characters, settings, tones, etc. – if you don’t want readers to make emotional connections with your world. What’s your take on the current state of nonfiction publishing? It is so exciting to see all the wonderful and different titles (different is key -- daring titles) that are being published today and that are being recognized – titles that are well-researched and written. It’s great to be a part of that Renaissance and to work with committed authors and illustrators. 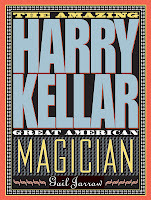 Our three Spring 2012 titles are diverse in direction – two nonfiction titles, one long (on Harry Kellar, the little known American magician) and one picture book (on the little known writer Mercy Otis Warren), and one historical fiction (portraits of people who lived, worked, visited, traveled through Ellis Island). Two biographies and one collection of voices – all little-known individuals. Calkins Creek is not necessarily looking for manuscripts on unknowns, but for authors who are earnest about offering young readers exciting journeys into the past – a past that is not “remote,” but a vital place that kids can relate to. Want to close with a shout-out to George and the past! Happy Birthday George Washington! You’d be 280 today! PS from Gretchen: Carolyn leads frequent workshops for the Highlights Foundation in bucolic Pennsylvania. On May 20-26 she's hosting one on Whole Narrative Nonfiction, with a cast-of-stars faculty. 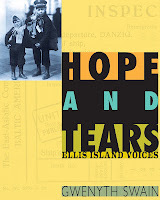 For more information, visit http://www.highlightsfoundation.org/content/whole-narrative-nonfiction. Recently others on I.N.K. have been talking about visual learners and visual learning. Coincidentally I've been thinking about pictures a lot lately, too. And I am NOT a visual learner. I am the kid who skipped the pictures. I am the kid who did not like comic books because there were too many pictures and not enough words. It's not that I don't like pictures. I love looking at photographs and paintings. In a museum. Or on someone's wall. But when I want to know something, when I want to learn, I need words. Many things have contributed to this new path of mine. "...it was in the evening, and the sunset threw a ruddy glow on the gray evening clouds, against which the masts of the ships and the row of old houses and trees stood out; and everything was reflected in the water, and the sky threw a strange light on the black earth, on the green grass with daisies and buttercups, and on the bushes of white and purple lilacs, and on the elderberry bushes of the garden in the yard." How can I help but learn from him? How can I help but start to see the world in a different way? How can I help but see paintings and photographs and all art in a different way? Second: My husband has gotten back into photography after decades away from it. He is learning digital photography, and sharing his enthusiasms with me. We've always loved to look at photographs together, but now we talk not only about beauty in photographs, but how photographs can tell stories, impart information, and add dimensions to nonfiction. 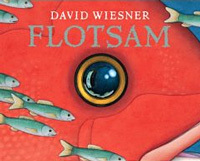 Third: I recently heard David Wiesner talk. I was enthralled by what he had to say about his process. Much of the art technicalities went over my head, but his attention to detail, the drafts, the experimentation, all of that is very similar to my process as a writer. So I was able to understand the creation of art in a way that I never have before. After hearing him talk I bought Flotsam and Sector 7 (sorry for talking about fiction here on I.N.K., but it relates!) and my husband and I sat on the couch and read them together. They are wordless, so when I write READ I am saying a lot. 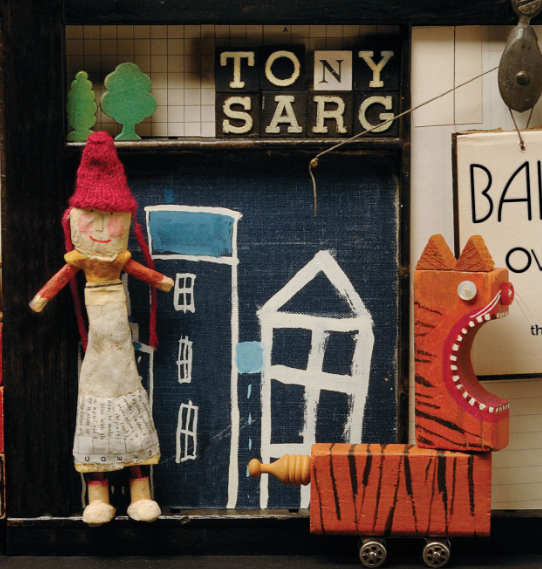 For the first time in my life I had the joy of reading and getting a wordless picture book. It didn't hurt that my husband was beside himself, almost jumping up and down on the couch with glee. 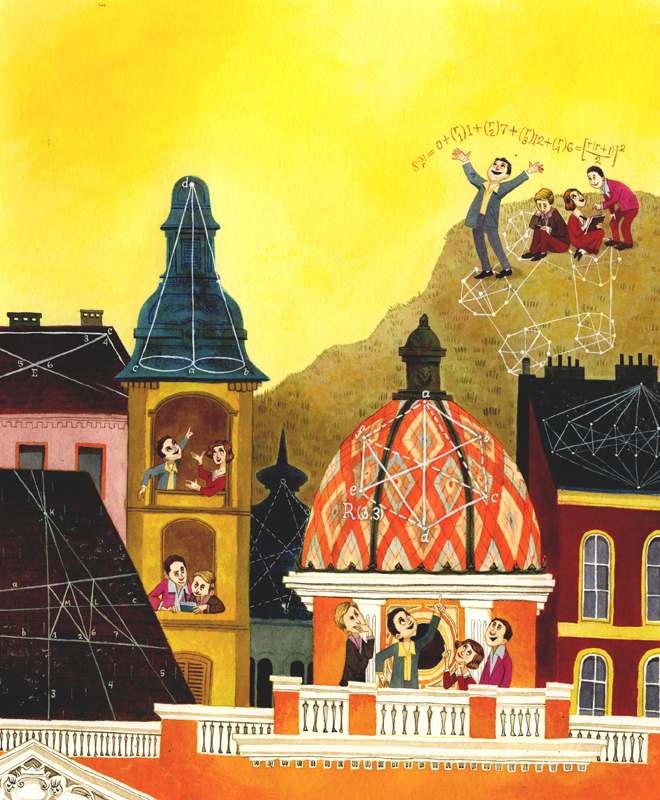 It didn't hurt that Wiesner's a genius. But, reader, I got it. Fourth: I am noticing, really noticing, art in nonfiction picture books perhaps for the first time. That is a bit of an exaggeration because I have written illustrated nonfiction picture books. And I sure have noticed the art in those. (Authors are sent sketches and we have to make sure everything is correct, for one thing.) And I have had many books illustrated with photographs that I had to approve or even pick. But now when I pick up someone else's picture book I am paying much closer attention to the art and what the art adds to the information in the book. Art can be pretty. It can be evocative. It can be dramatic. But when it adds information, detail, and understanding to the book, to me that's when the book soars. And that's why I was so happy when Balloons Over Broadway by Melissa Sweet won the Sibert this year. Fifth: I have been blessed by the gift of another true artistic genius for my next nonfiction picture book. 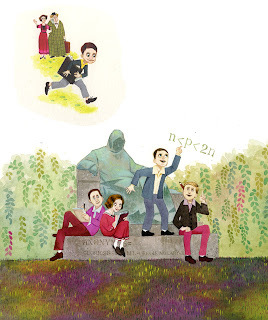 I wrote a book about the mathematician Paul Erdos. It took me many many many drafts to get it to the place where I could even send it out. I started it in 2004 (my first draft, March 12, 2004). I sold it to Roaring Brook in summer of 2006. For various reasons it has taken a bit of a while (breathe, Deborah, breathe) for it to get on the road to actually being published. If all goes as planned (breathe, Deborah, breathe) it will be out next year, 2013. 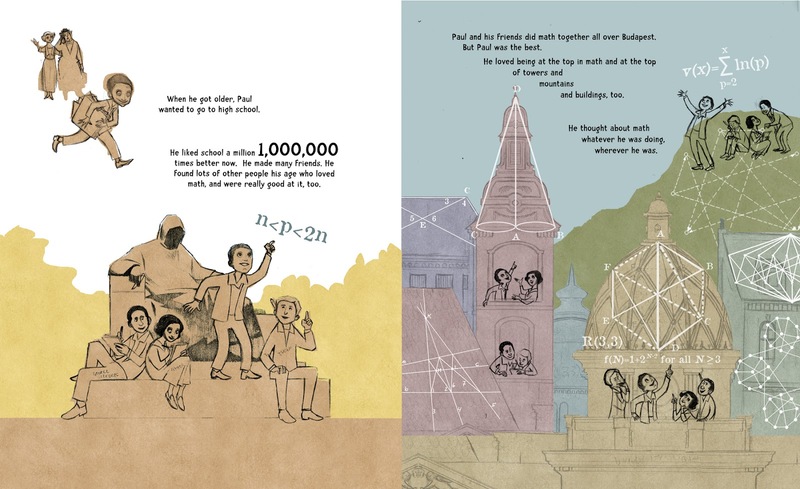 And for me it will have been well worth the wait because LeUyen Pham is doing the most amazing and brilliant illustrations. It had been my dream as I whittled the prose in the book down to a decent picture book length and edited the language to be suitable for a 2nd or 3rd grader (the "sweet spot" for the book, I think) that the artist would be able to put math into the illustrations. Real math. The kind that Paul Erdos did. LeUyen loved math as a kid. She works really hard. And, in my humble opinion, she is a genius. I don't use this word lightly although I have used it kind of a lot in this post. But LeUyen has risen above and beyond my wildest dreams. And let me tell you, I'm a girl who can dream. LeUyen was away and got home late last night. She just sent me the final art for these pictures and I just have to post them here because they are gorgeous! Happy President's Day, as it were. Not George Washington's birthday anniversary, as that was either on the 11th (the day before the anniversary of the birth of the other President whose day is no longer set aside) or will be day after tomorrow, depending on what century you're in, by what calendar you order your days, but the Virginian's well worth the celebrating, whether or not you note his existence by cutting cherries from red construction paper or simply spend a moment pondering his genuine valor. Untrodden ground and all that. I've a book just published four days ago - that's something. Didn't write it so it's not really mine. After all, in the beginning was the word – not the illustrations. But I scribbled, drew, studied grainy copies of long-ago photographs and paintings, wondered about those vanished worlds, what the people and really looked like in life, laughing and speaking; erased, drew, went over the lines in pen, erased, went over the pen-lines with watercolor, popped the color with colored pencil and pastel, and had a fine time doing it. And this wonderful blog, this ongoing conversation, has gone on for four entire years – that IS indeed something. How did I come to be a part of it? I was in Warrensburg, Missouri, at a children's literature festival, sitting across a table from Jan Greenburg, who suggested I contact somebody named Linda Salzman, thank goodness and bless 'em. And, AND, it was half a century ago this very day, after countless months of preparation, less than 60 years after Kitty Hawk, that a blue-eyed aviator was strapped in for a completely unprecedented flight. Wahoobaybee – man oh man, it's worth it, being this old to have the memory of that day. 17,500 MPH! Thrice around the planet. I hope the angels got a message to George Washington, another fellow deeply possessed of the right stuff. He'd have gotten a bang out of that. I don’t generally write a post here as a response to one of my colleagues, but today I was moved in that direction. And as I questioned myself about whether that was some kind of a cop-out or avoidance to writing my own post, that little voice inside became a big voice, and fast. “No, it’s NOT a cop-out,” it yelled at me. This blog functions as a place for us to post our thoughts and ideas about our writing and the world of nonfiction, but it is also an ongoing conversation. These INKers are my colleagues, yet we do not share any office space and have no water cooler around which to engage in conversation. In fact, in this particular case, I have never met the person I want to respond to—Jim Murphy. Yet through this blog, and with each passing post, I have felt a growing feeling of simpatico. We SHOULD have a water cooler. And so I stand by it today, to respond to Jim’s latest post. I read this, raised my arms above my head, and said, “Yes!” I do a slightly different version of this. I get up, walk around, and hold the page or laptop (mine is VERY light) and read out loud, as if to an audience, perhaps during a school visit in my mind. For me, the reading of a tricky or troublesome passage out loud makes my fumbles glare at me from the page, as if daring me to read them out loud. I can see them taunting me: “go ahead, wrap your tongue around this, if you can.” I actually often stop just before I am about to utter whatever sentence I already know has failed. When that happens, I often revise it on the spot—still out loud—as if I am an actor on stage and just realized it’s improvise or flop. New words come out of my mouth. After I say them, that’s when I take a break from my imaginary performance and rush to get them on paper. I also loved Jim’s other techniques for self-editing—pretending he’s the “nastiest editor alive” and going through it with an eye to someone who knows nothing about the subject. This last one is one we share; and I suspect many other nonfiction writers do this as well. I teach my high school son to do that with his essays, and my college students as well, as there can be this feeling that somehow they are writing to ME only, and since I assigned the topic, they can leave certain things out that surely I must already know. We leave things out in our rough drafts, too. Not because we assume our readers already know them, but because at some point we have become so immersed in our topic that our knowledge base takes over and we start to take some things for granted for ourselves. That is a GREAT sign in terms of feeling as though you have wrapped your arms around a topic in such a way that you can authentically write about it. It is also a GREAT sign that you need to spend some time reading through your work with the sole focus of finding where you have not filled in the blanks for your reader. This was fun, and I hope others sidle up to the water cooler as well. I love these people on INK—some of them are my dear close friends, and others I have never met. But it doesn’t much matter, as our words continue to bring us closer together. Have you seen any SYMMETRY lately? What delights me the most about symmetry is that it perfectly embodies two subjects that are rarely paired up: Math and Art. In order to create or recognize symmetrical images, children (and the rest of us) must understand equal vs unequal, comparisons, repeats, rotations, reflections, and other basic math concepts in vivid, visual form. Creating this book has certainly left a permanent impression on me because I "see symmetry" everywhere now, from decorated cakes to crocheted doilies to wrought iron gates to Mardi Gras masks…hopefully, the readers of this book will, too! These are just little tricks -- mind games really -- and sometimes they work. Just as watching Page doing crazy laps in the dark night for ten or twenty minutes can free up the brain and get it ready for another day's work. I hope you all have a wonderful Valentine's Day and that (if you work) your thoughts and words are passionate, free flowing, and exactly what you want to say. Like so many New Yorker subscribers, I am always months behind. They pile up week by week, screaming their silent rebuke. Sometimes I hide them in a corner; rarely, I become defiant and throw them out without a glance of what I might miss. Keeping up with this magazine is the best (only?) reason I can think of for commuting to a job on the subway instead of just carrying my coffee upstairs in my pjs. I’m glad the November 14, 2011 issue didn’t end up unseen and in the recycling. Yesterday I read an article by John McPhee, one of the greatest nonfiction writers around. In “Progression,” he discussed the evolution of many of his ideas, when he lets his subject matter dictate the structure of his piece, and the few times (just two in a very full career) he chose a structure and searched for a subject to fit it. Many of us here have written about such matters already, but I find the topic endlessly fascinating. I thought I might pluck a few points from the article that could hopefully spur some conversation in the comments section from my fellow bloggers and some of our readers. 1. McPhee said he once listed all the pieces he had written in decades and realized that 90 percent of them were related to subjects he had been interested in before he went to college. Is that true for you? I’m not sure it is for me. 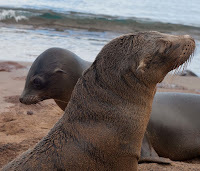 I really liked biology, but I’d never have predicted I would write so much about science. Is that because I was a young girl at a time when females considered other types of careers? Or is it that I didn’t understand then that there is a poetry in pure science that is as lyric as Shakespeare's? 2. McPhee said that his readers aren’t shy with suggestions, then noted these ideas are often closer to the readers’ passions than his own. Yet he did end up using two of their proposals. Anybody here ever turn an suggested idea from a reader or a kid into a book? I bet so many of us have written books or articles this way. I’ve already talked about one of mine in an earlier post (http://inkrethink.blogspot.com/2011/02/on-and-on-and-on.html). Have you met a minor character while researching one story who demanded a book of his or her own? Or turned an idea on its ear for another go-round? 4. And finally, what about McPhee’s ultimately successful attempt to tame a potentially disastrous idea: trying to find the right subject to fit within a pre-set structure. His result turned out to be the classic Encounters with the Archdruid. Anybody else give this a try? A few days ago I got a letter from Nanon Williams, one of the inmates in my book No Choirboy. 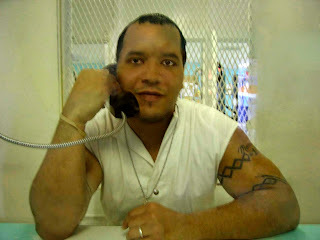 We’d been corresponding since 2005, when I interviewed him on Death Row in Texas. Having been imprisoned since 1992, when he was seventeen, Nanon had high hopes for a new trial. Since the time of his sentence, laws have changed regarding young people convicted of capital crimes, and forensics have become much more sophisticated. Indeed, while I was working on the book the state’s ballistics expert even admitted that he made a mistake. Nanon, though armed and present at the scene of the crime [a drug buy gone bad], did not kill the victim. Nanon, his friends, family, and lawyers were excited at the prospect that a trial would reverse “life without parole” to “life,” and that he would be released on bail. After months and months of waiting Nanon just learned that the judges refused to hear his appeal. Needless to say, he was devastated. And I don’t know how to help him. This got me thinking about the role nonfiction authors play in the lives of the people in our books. My books are pretty much primary sourced. Like Blanche DuBois I’ve always depended on the kindness of strangers. Unlike Blanche, these strangers must be open, articulate, and truthful or there is no book. My kids, for they are mostly young children and teenagers, are eager to show the world who they are. That includes their bad deeds and vulnerabilities. My obligation, as I see it, is to portray them accurately. It takes a great deal of editing and revising to bring a person’s voice to the page. The interviews can be disjointed, inconsistent, and sometimes somewhat incoherent. There’s no clear narrative, and the arcs are buried. What a listener hears is different from what a reader sees in print. For example, every teen I’ve talk to recently uses “like” in the beginning, middle, and end of almost every sentence. In olden times it was “cool,” and I think that’s coming back. I hope so because “cool” is more fun to pronounce. It’s like puckering up lips for a kiss. [By the way, Happy Valentine’s Day to all.] “Like, when I, like, saw him coming down the, like, street, I was worried that my weave, was not, like, right.” That’s extreme but you get the point. Leaving in a few “likes” here and there can give flavor to the narrative, but it shouldn’t overwhelm. “When I saw him coming down the street, I worried that my weave was not, like, right.” Cool! One way to safeguard accuracy after heavy editing is to go back to the source. My gang read late drafts to be sure what’s written is what's meant. If they are comfortable with the piece I feel pretty confident. By this point, though, I am totally in love with my gaggle of gabbers. They've been floating around in my head for months, sometimes years. Is it professional to become emotionally involved in these people's lives? I think not. Is it possible not to become emotionally involved in their lives? Yes, it's possible, but sometimes it's a struggle. What's our obligation to living subjects after the book is published? Usually my kids move on and continue their owns lives as I do mine. Some relationships evolve into friendships. Then there are a few people I feel compelled to help. Which brings me back to Nanon. A marvelous self-published author in his own right, It’s a pleasure reading his letters as they are filled with poetic insights. Nanon told me that he was no choirboy before incarceration - that's where the title of the book comes from - and I do not want to romanticize him. But he has grown into a thoughtful, thinking man. Do you remember telling me about blogging or something like that with a group of writers? Well, Susan, I could use all the help I can get right now. A couple of hours ago, I learned that the judges ruling was reversed, my capital life sentence reinstated, and basically they plan on me dying in prison … a ruling from 12 years ago, despite all the new facts, and despite previous courts who ruled in my favor. My mom, well, she broke down. I pretended to be confident … I will fight, Susan. I will work harder… I will even work on a book to release every detail I can think of. I am not angry. I realize that I may die in prison, but I’ll never accept it. There’s a lot to do. Everything is a process. I was all set to post the third installment of my FoundingFathersPalooza—an exploration into how I conceived, researched, and wrote Those Rebels, John and Tom, my book about Adams and Jefferson. And I’ll post the final installment next month. But something wonderful happened a few days ago that fits in so nicely, I couldn’t resist talking about it. You see, in a couple of weeks, I get to meet John and Tom. I’ll be participating in the John F. Kennedy Presidential Library and Museum’s “Presidents’ Day Family Festival” at the JFK Library in Boston, on February 21st. And John and Tom are going to be there! OK, technically, John Adams will be played by Thomas Macy and Thomas Jefferson will be played by Bill Barker – but take a look at the links. Don’t they look fabulous?! Both men are real history buffs and I know will do Adams and Jefferson proud. "Querulous, bald, blind, crippled, toothless Adams." I am geeky excited. For someone who spent over a year working on the book, this is the next best thing to a time machine. If you will be in Boston on Feb 21st, please join us, won’t you? Is it an anniversary or a birthday? Who knows. But I.N.K. 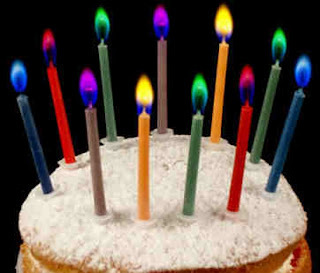 was founded by Linda Salzman right around four years ago and it’s time to celebrate. So a few of our contributors have chimed in with reasons we think being part of this blog is so special. What else is there to say, but "ditto." Thanks, Linda, for creating the blog, and to all the writers who make it so interesting, and to our readers who inspire us to keep going. This is Susan Goodman, ready for another great year. As my buddy Mr. Darwin once showed us, everything on earth is in a constant state of flux. Gigantic mammals took millions of years to evolve into pygmy versions of themselves, he explained, while earthquakes and volcanoes could change the scenery overnight. Well, lately it seems to me that we’re submersed (but—I hope—not drowning) in the overnight variety of change. Aaaargh….pretty soon we might have to go to a museum to see books made out of paper! And it’s not just little things like camera film, phone books, record stores, and pay phones that have gone the way of the dodo. The rate of change is accelerating faster than it ever has in all of history. These days we’re constantly inundated by an unimaginable deluge of information from the cloud and a slew of new inventions that sound like they exploded directly from the most mind-bending pages of science fiction. Partly because we can access messages from around the world in mere nanoseconds, the entire structure of our society is evolving faster and faster just to keep up. Anyone who’s so inclined can simultaneously watch the Super Bowl on TV from their couches while following related Twitter feeds about the game from their favorite celebrities and talking to their friends cross-country on an iPad FaceTime video call. Who woulda thunk it five or six years ago? Tiny hummingbird-shaped drones can now spy on our enemies, and tinier robots can find bodies buried beneath the rubble in a war zone or an earthquake area. Drinking water can be captured directly from the air in the driest deserts, and in case we’re afraid of being mugged, some dude named David Brown has invented what he calls The BodyGuard, which is a crime-fighting armored glove that features a laser pointer, a stunner mounted on the wrist, and a camera to record the action. There’s even a Medical Mirror out there that can measure our heart rates and may soon be equipped to check out our respiratory rates and blood-oxygen saturation in the privacy of our own rooms. And besides being true, you may ask, what does all this tech biz have to do with writing nonfiction for kids? Everything! Like it or not and for better or worse and all of that, the way we go about this wonderful business that we know and love is bound to evolve too. As much as every single one of us wants to hold onto the status quo and live in our comfort zone doing what we do best, we’re eventually going to have to evolve or perish. And this presents an enormous challenge to each of us because with every large-scale change to society, something very valuable is lost, but can potentially be replaced by something else that has its own rewards and its own advantages. A few of us are dipping a few of our toes into these unfamiliar waters. We all love the smell and feel of real paper and the beautiful artwork in real books, but we’re also starting to check out what it’s like to print our own books and e-books and sell them on demand. And we’re doing live interactive videoconferences with schools and other venues around the world too—sometimes with people who live in places that could never afford to meet real authors in person in a million years. And there’s more. We’re checking out new ways to add valuable links and other bells and whistles to our books without degrading their high quality or cheapening their appearance or diluting their message. 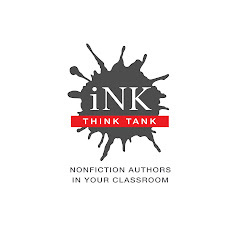 We are banding together to work with schools as a group in order to add first-rate nonfiction literature to their curriculum for an entire year. As the rules change, can we still find enough time to think deeply and to write well? Can we enhance what we do and make our work better than ever? Can we actually feed our families this way and still fulfill our mandate to set the highest standards—or not? Does this shift involve some unforgivable heresy, or is it part of an evolution to a higher level? Life’s a risky business, but although it’s scary to fail when we try something new (and rest assured, there will be failures), this small venture-on-a-shoestring is actually pretty tame, and it’s a whole lot of fun. Besides that, it may offer great creative and financial benefits to all of us authors and illustrators out there. Can we run such business efficiently? Or will we lose something so valuable that it can never be replaced? We shall see. So about two years ago I decided to write my next book about an obscure spy named George Koval, and I was super excited about it, and you’ll see why in a second. Born in Iowa in 1913, the son of immigrants from Belarus, Koval grew up in Sioux City and graduated high school at 15. Soon after, his family disappeared. Only later—decades later—did friends learn he and his parents had moved to the Soviet Union. By this time a committed communist, Koval earned a chemistry degree in Moscow. At some point after graduation, he was recruited by the GRU, the Soviet military intelligence agency, and trained as a spy. Early in 1940, Koval stepped off a boat in San Francisco. Using his real name and his prefect Midwestern English, Koval resumed life as an American. When drafted soon after the start of World War II, Koval’s test scores were so high, the Army sent him for advanced technical training—havin g no idea, of course, the man already had a science degree. Army buddies later described Koval as friendly, funny, and a damn good shortstop. Like any trained spy, Koval showed no interest in politics. The only odd thing about the guy, friends said, was that he never had to study. Then, in 1944, Koval got the kind of lucky break spy agencies rely on. The Army assigned him to the Manhattan Project, and sent him to the top-secret Oak Ridge plant in Tennessee, where Oppenheimer’s scientists were enriching uranium for the world’s first atomic bomb. Koval’s job was to monitor radiation levels in the plant, giving him clearance to go everywhere, see everything. Historians think he was sending reports to the GRU all the while, but they’ve found no evidence, no decrypted telegrams. We do know he was honorably discharged after the war and that he moved to New York City. In 1948 he told friends he was thinking of going on vacation in Europe. Then he vanished. Just a year later, Soviet scientists tested their first atomic bomb, years ahead of the CIA’s estimate of when they’d be ready. American intelligence agencies realized spies had stolen atomic secrets, and began looking for suspects. 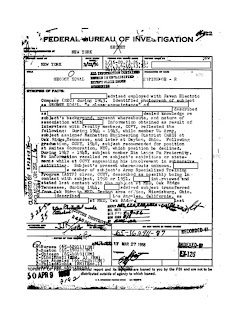 The FBI began investigating George Koval. But by then he was back home in Russia. It’s an incredible story. You’ve got this elusive hero/villain caught up in an historical event of epic importance. I was sure I had the material for an amazing non-fiction book. As a first step I made a Freedom of Information Act request to the FBI, asking for Koval’s file. And they sent me the whole thing on a CD! It was a gold mine. Or so I thought, until I started to plow through the documents. 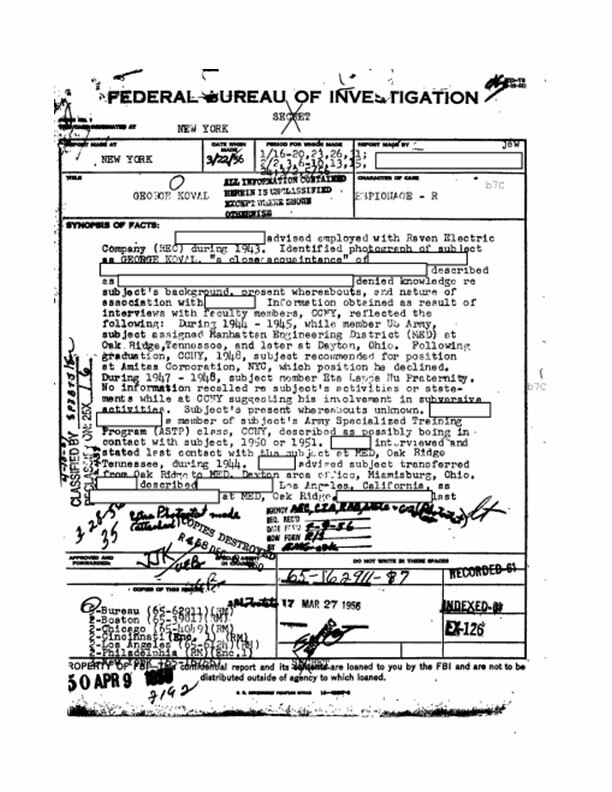 The file has over 1,000 pages of notes and interviews by F.B.I. agents, but no one the agents talked to seemed to know Koval very well. And the few promising parts, and most of the names of potential characters, were blacked out by government censors. That sent me into a mild panic. I called my fantastic editor at Roaring Brook, and started pitching really bad alternative book ideas. She talked me down, urged me to take another look at our original idea of a Manhattan Project spy thriller. And as I kept reading, a new cast of characters began jumping out. 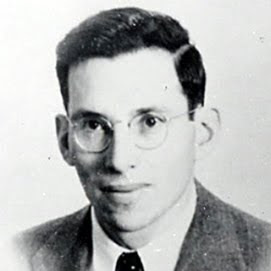 Like Ted Hall, a physics whiz-kid who graduated Harvard at 18 and was shipped directly to Los Alamos—and decided, on his own, to share bomb plans with the Soviets. Like Ruth Werner, a KGB agent in Britain who smuggled radio transmitter parts in her kids’ stuffed animals. And Knut Haukelid, a Norwegian Indiana Jones on skis, who was instrumental in sabotaging Germany’s atom bomb operation. And Moe Berg a retired baseball player sent on a secret mission to Switzerland assassinate Germany’s top physicist. And of course the brilliant and tormented Robert Oppenheimer (if Shakespeare could write a play about one figure from American history, I’m thinking he might go with Oppenheimer). And there are many more, a cast of thousands! Well, dozens. Anyway, the book became a kind of global thriller about the race to make—and steal—the world’s first atomic bomb. It’s unlike anything I’ve tried to write before, and it bears very little resemblance to the book I set out to write. But that’s what makes this job so fun.